Software or Systems. Virtual Machines or Containers. No Appliance Taxes. Maxta Hyperconvergence Software reduces capital and operating costs by up to 70 percent and frees IT from the refresh and upgrade cycles of traditional storage. It collapses servers, storage, and networking into a single server tier and allows IT to use existing servers, buy pre-configured servers, or use a combination of both.  Appliance-based hyperconverged solutions require you to buy the software again every time you refresh the hardware and add capacity only by adding appliances. 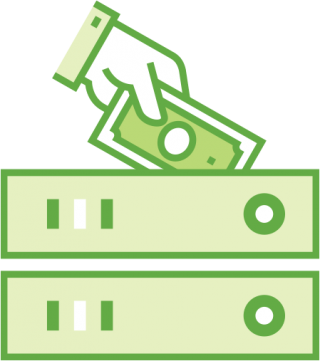 With Maxta, there’s no “refresh tax,” no “upgrade tax” and no vendor lock-in even if you purchase pre-configured servers. 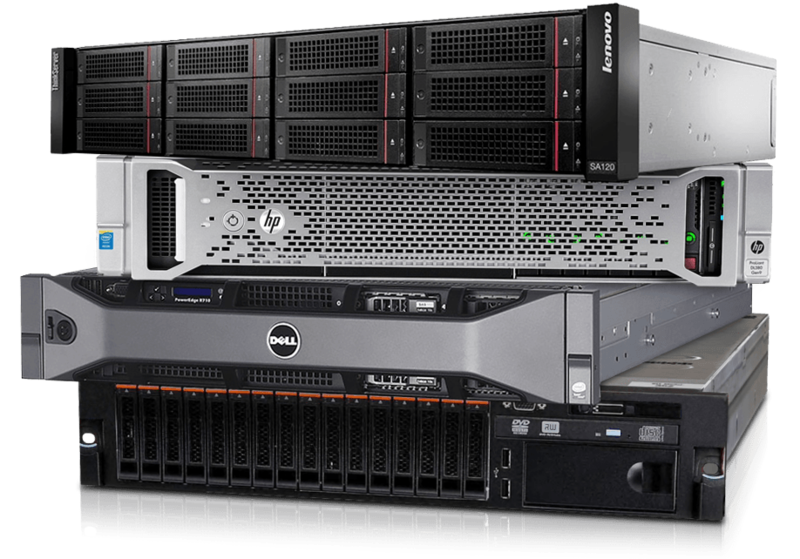 Other hyperconverged restrict your choice of hardware and hypervisor. Maxta supports every major server brand, multiple hypervisors, and containers. Maxta Hyperconvergence Software gives you a choice of hardware and hypervisors. Maxta supports VMware vSphere and Red Hat Enterprise Virtualization platforms as well as most major server vendors. You can even choose software only or have the software pre-installed on the widest choice of server platforms. Maxta gives you a clear advantage over costly and complex traditional storage arrays that lock you into their platform. Hyperconverged appliances promise to solve this but still lock you into a hypervisor, a hardware platform or both. Maxta gives you the freedom to choose. 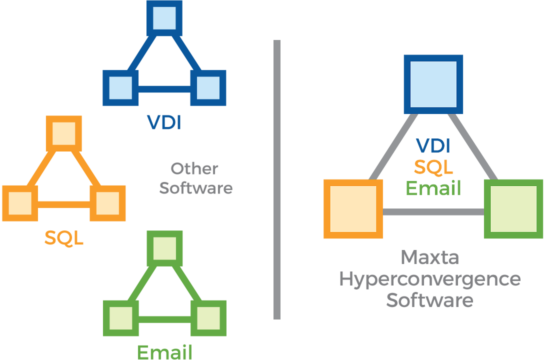 With Maxta, you can run different applications on the same cluster without performance penalties – even mixing VDI, email servers, and databases. 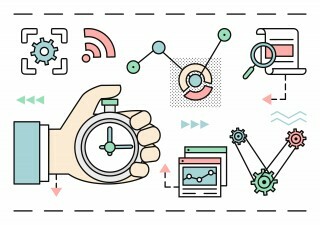 Maxta is an application-centric platform. 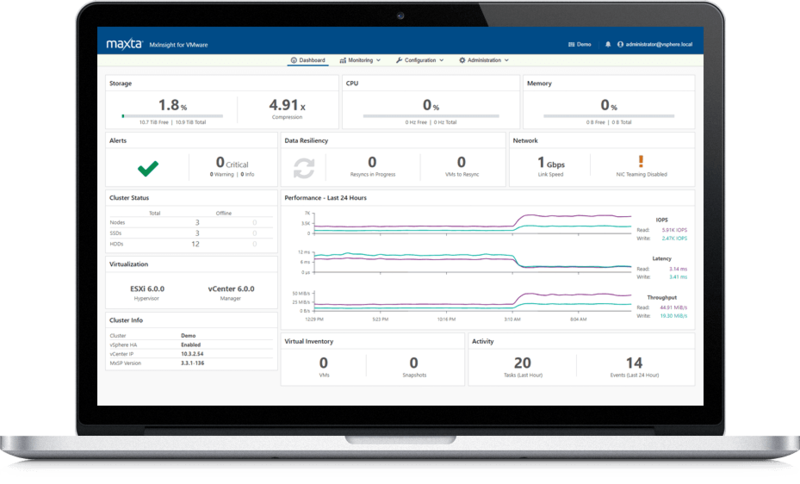 It optimizes performance and availability on a per VM and per vDisk basis, so you can reduce costs by running mixed workloads on the same cluster and increase performance for applications by 25 percent. Other storage and even many hyperconverged solutions can only manage performance and availability resources at the storage or cluster level, forcing you to silo applications on their own clusters to avoid application performance degradation. Why Pay a Premium for Hardware and Software? No Refresh Tax. No Upgrade Tax. Hyperconvergence shouldn’t limit your options. Hyperconverged appliance vendors, just like legacy storage arrays, charge a “refresh tax” by forcing you to rebuy software when you refresh hardware. Worse than that, hyperconverged appliance vendors also have an “upgrade tax” since the only way to add capacity is to buy another appliance. Maxta lets you refresh hardware without rebuying software, and makes it easy to scale up by adding capacity within servers by adding or replacing drives – compute and storage scale independently. Maxta also lets you scale out by adding servers. 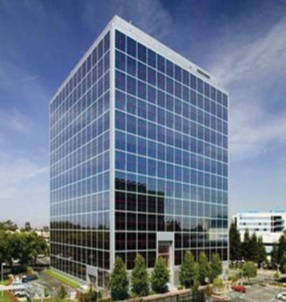 70 Percent Lower TCO. Simple to Manage. 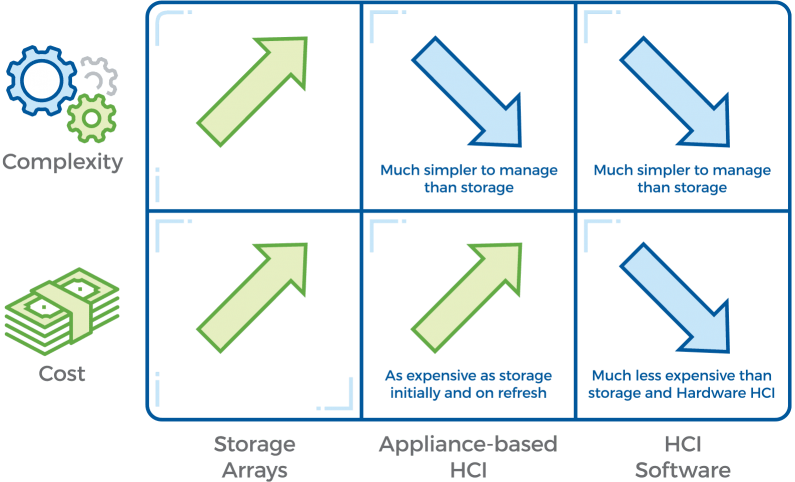 Traditional storage is both expensive to own and complex for IT to manage in virtualized datacenters. Hyperconverged appliances solve for complexity, but are as or more expensive to own than traditional storage – and you risk being locked in to their platform. Maxta delivers all the benefits of hyperconvergence with none of the complexity of traditional storage or the hidden costs of a “black box” appliance.